Few people outside Bengal know of the extent and variety of Rabindranath Tagore's writings for children. Hence, this volume is a specially valuable addition to the Oxford Tagore Translations. We have tried to present the entire range of Rabindranath's writings for children, except for pieces patently written as school texts. 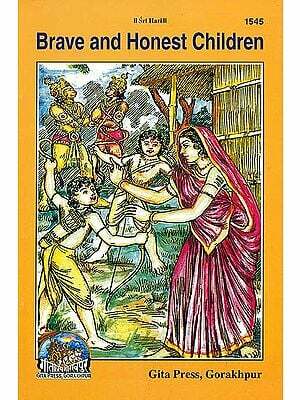 However, some of the verses come from an enchanting Bengali textbook Sabaj Path. for the rest, the poems include whimsy, nonsense and fantasy, but also moral pieces, social narratives and historical tales. The prose writings comprise a variety of stories, again ranging from the moral to the fantastic. There is a selection of short humorous plays, and extracts from the poet's own account of his childhood. In other words, the range of this book is much wider than the standard fare in most children's collections. Rabindranath did not wish to confine children to certain narrow limits of reading and feeling. He credited them with powers of absorption that adults may well lack, and laid before them the entire range of human experience: the comic, the fantastic and the reassuring, but also the tragic, the philosophic, even at times the grim and horrific. All these matters are scaled down in formal complexity but not in intrinsic depth. A child who goes through this book will have extended her mind in many directions. This may be even truer of an adult. Like any other volume of the series, this book needed notes, explanations and data; yet blatant academic commentary would have been out of place. We have divided up the material so that it does not thrust itself upon the reader. Some essential information has been placed at points where it cannot be missed. All other material is gathered in the 'Explanations' and 'Notes on Texts and Publication' at the end of the volume. Readers of every age and intent can browse through these and pick out what they want. Some data for scholars-dates, texts, provenance etc.-has been placed in a separate sequence. Whimsy and fantasy are hard to translate. Many other matters important to the young are too local and specific to be rendered precisely in the terms of another language and culture. Hence, translations of such material necessarily end up by taking certain liberties. A few crucial departures and omissions have been pointed out in the notes. For the rest, we have diverged from the literal text only in order to preserve its spirit. We can fairly claim not to have diverged too much or too often. Every volume of the Oxford Tagore Translations includes some illustrations, but this book is full of them for obvious reasons. Many of the illustrations go with the texts: the two were conceived together. Other have no organic link, but blend remarkably to provide a total aesthetic experience, a single world of the imagination. We wanted to open up this world to readers who do not know Bengali, or even light up some corners of it for readers who do. We are grateful for assistance from Sm Vijaya Mukherjee, Professor Gautam Bhadra and Professor Tapobrata Ghosh. Special thanks are due to the Director and staff of Rabindra Bhavan, Shantiniketan, for supplying most of the visual material so readily and so efficiently; as also to Dr. Amlan Das Gupta for generous technical help with the illustrations. Rabindranath Tagore (whose name is really 'Thakur' in Bengali) wrote a great deal for children. His collected works already run into thirty, one volumes, with more to come. Out of this, enough matter for at least two volumes consists of writings for young people. This is a much bigger proportion than with any other of the world's great poets, writers or philosophers. Of course, some of these pieces are not really for children. In November 1902, Rabindranath's wife Mrinalini died, leaving behind five children. The next year Rabindranath brought out a group of poems called Shishu (The Child) is his Collected Poems appearing at the time. Much of Shishu with some other poem, was translated into English in 1913 as The Crescent Moon. Some of the verses were written to comfort and amuse the younger children: they had just lost their mother, and one, the second sister renuka, was seriously ill. These poems really are very funny, or exciting and amusing at the least. But others in the collection are sad and thoughtful pieces-sometimes about mothers who have lost their children-while yet others talk about children in sentimental and philosophic ways. The young Tagores could not have understood them properly; or if they did, they would have felt all the sadder. Obviously their father had written these particular pieces fro grown-ups to read. That still leaves a great deal of writing meant for young people, and read widely by them in Bengal from that day to this. Rabindranath was attracted to children's literature generally. He must have known the English works of Lewis Carroll and Edward Lear, and no doubt much else. His writings show their traces and memories. More importantly, he had a deep life-long interest in children's rhymes and tales from Bengal: in fact, it was largely owing to his efforts that these began to be recorded and studied seriously. He wrote a long essay on Bengali life. He also made a collection of 81 rhymes, and got the learned Academy of Bengali Literature (Bangiya Sahitya Parishad) to publish them in its journal. He also encouraged his nephew Abanindranath and many others to collect and publish such verses. He wrote an enthusiastic introduction for a classic collection of fairy tales called Thakurmar Jhuli (Grandmother's Bag of Tales), written in wonderfully lively and original style by a great children's writer, Dakshinaranjan Mitra Majumdar. Rabindranath wrote scores of stories for grown-ups-in fact, he was virtually the first writer of short stories in Bengali. These stories contain many motifs and elements taken from fairy-tales, reworked in the light of real life and adult experiences. This means that the line between grown-up stories and children's, fairy tales and realistic ones, is sometimes hard to draw. The story, 'Wishes Come True', included in this volume, is printed like any other piece among his collected short stories for adults. Again, Rabindranath wrote a quantity of short humorous plays which were finally collected under the titles Hasyakoutuk (Fun and Laughter, 1907) and Byangakoutuk (Satire and Laughter, 1907). (The latter collection had stories as well as plays.) A few of these pieces were acted, chiefly in the Tagore family circle. One, 'The Ordeals of Fame', was even adapted for the public stage and acted five times at the Emerald Theatre in Calcutta in 1895. These days, they are often acted by children. But these playlets had been written for reading rather than acting. They appeared from 1885 in the children's magazine Balak, which was later merged with the grown-ups' magazine Bharati. There they had been called Heanli Natya (Riddle-Plays), because they act out certain Bengali words, syllable by syllable, as in a game of charades. Later on, even their writer felt that this aspect of the plays did not matter very much. More importantly, while some plays afford pure laughter, others make fun of human attitudes or social traits. They can be, and were, enjoyed and even acted by adults no less than children. This is true of many other works as well. This book contains an uproarious story-poem, 'The Invention of Shoes': it appeared in an adult collection called Kalpana (Imaginings). Another such volume called Sonar Tari (The Golden Boat), rich in philosophic pieces, includes 'The King's Son and the King's Daughter'. This poem is phrased like a fairly-tale and sub-titled as such; but what it describes is obviously a real boy and a real girl falling in love, as real people do thinking they are entering a fairy-tale world. Rabindranath's works are fully of adult fairy-tales. He knows that adults go on being children, while children are already adults. Hence, his writing for children reflects various styles, sometimes in a very serious vein, because he thinks children should be taken seriously. The story 'Wishes Come True' has a clear moral. So do many other poems and stories (like 'The Magic stone's in this volume), and some of the playlets make satirical points. Besides moralizing, Rabindranath tried to teach his young readers all kinds of other matters. Some of these works, in fact, were written as text-books for the school founded by him on his ancestral property at Shantiniketan, about 100 miles from Calcutta. This school was part of a whole ashram, or spiritual community, that he conceived to make true his ideals about learning, living and working for society. He attracted many famous and talented people to live-there-sometimes for a short space, sometimes all their lives. He called his institution Visva-Bharati, which might be explained as 'the seat of the world's wisdom'. Today it is a big university, but it still includes the school he set up, as well as a major center for farming, village work and social uplift. Rabindranath was unhappy with the education system of his time. In his own school, he tried to ensure that learning was relaxed and pleasurable; that it brought the children in contact with nature, and blended with a natural and productive way of life. Classes at Shantiniketan were held out of doors under the trees. (some of them still are.) The children would be taken round the countryside, shown the stars and planets at night, told about plants and animals and, above all, about the country life of Bengal, whose model was worked into the community life at Shantiniketan. Rabindranath prepared many of the school-books himself, and made sure they were enjoyable to look at and to read. In 1930 at the age of 69, long after winning the Nobel Prize and becoming something of a sage in the world's eyes, he brought out an alphabet-book and primer called Sahaj Path (Easy Learning) that was like no other alphabet-book. It was full of witty, imaginative rhymes and stories-very much for children, yet conveying some of the pleasures that grown-ups get from reading literature. Some pieces are amusing, some wistful, while others show up vivid and even harsh aspects of real life. They also promise a feast of sheer delight in language. Rabindranath's first important poem for children, Nadi (The River) had appeared in 1896 in book form, and later been included in Shishu. it was written in a novel metre that Rabindranath had to explain to adults, though he had seen how easily children grasped it. Sahaj Path too has a trick poem that can be read in two different metres. (It has been translated in this book as 'Flowers', but of course we could not bring out the trick metre in English.) There are ingenious stories woven out of words containing the complicated joint consonants that make the Bengali alphabet rather hard to learn: but these are worked into the stories as a sort of game, and are absorbing for that reason. The books are full of pictures, specially drawn by Nandalal Bose or Basu, an inmate of Shantiniketan and one of the great artists of modern India. I shall have more to say about illustrations later on. Let me carry on now with the poems and stories. The Sahaj Path pieces were so delightful that they were included in other books, often with illustrations, purely to give pleasure to people young and old. Rabindranath brought out several such books: Shishu Bholanath (The Young Shiva) in 1922; Khapchhara (At Sixes and Sevens); Se (That Man) and Chharar Chhabi (Pictures for Rhymes) in 1937; Galpa-Salpa (Chats) just before his death in 1941. Chhara (Rhymes), being prepared around that time, appeared a month after his death. Many poems from these and other books were put into two new collections later on: Chitra-Bichitra (Varied Pictures) in 1954, and Sankalita (A Collection) in three volumes in 1955. Much of this writing, especially in At Sixes and Sevens and That Man, consists of pure nonsense, whimsy and fantasy. In At Sixes and Sevens, most of the little poems draw their fun from ingenious rhymes for hard Bengali words, sometimes made up by the poet: these cannot be translated into my other language. That is why, rather sadly, this book contains few pieces from this famous collection. The whimsy and fantasy like up with a crucial activity of Rabindranath's later life. With very little formal training or preparation, he developed into a prolific and markedly original painter. He had once tried painting at an earlier stage of his life, but began practicing the art seriously from about 1924, when he was 63. his first exhibition was held in Paris in 1930. He has left behind hundreds of oil paintings as well as great quantities of drawings and sketches, sometimes to illustrate his own writings. This great store of art-works is like nothing drawn or painted previously in India, or indeed hardly anywhere else. It seems to have sprung from a very special, very original way of seeing that Rabindranath had conjured up from the depths of his own mind. By this time, Rabindranath had a worldwide reputation as poet, thinker, commentator and, in fact, a kind of sage or prophet. One imagines that in these formal public roles, he could not always be himself. His paintings and drawings may have provided a means of escape. Here he could really express his most private, intimate being. Most grown-ups lay by their childhood memories and fantasies within their innermost selves. This would be particularly true of a poet like Rabindranath, in whose imagination childhood had always been a precious ingredient; and equally of a celebrity like Rabindranath-on public duty most of the time, forced to turn a formal face to the world. That is why his fantasies for children have a special importance-not only for their literary value, but as bringing out a different, informal and intimate side of the poet-sage. That is also how his children's writings link up with his paintings and drawings. He paints figures looking very like himself-as a clown, a dancer or musician or (as in the frontispiece of this book) as riding a strange bird. Rabindranath's art is uniquely the work of his free and relaxed imagination. Around 1924, he started drawing doodle on his manuscripts, joining together the words he had crossed out. He created all sorts of designs and images in this way, above all of weird animals. He then went on to make full-fledged drawings and paintings of strange birds and animals. The doodles scattered through this book show how he worked this vein of his imagination. That is why we have filled this book with pictures alongside the stories and verses. Many of the pictures were not drawn to go with these texts. (Many others, needless to say, were.) Yet in a deeper sense, they all belong together. They lead us into a very rich, very colourful treasure-house in a particular chamber of Rabindranath's mind, which we only glimpse from time to time in his serious, formal writings. Again, people both young and old, can enter this chamber side by side: there is no line to divide grown-up territory from the child's. But we must pass from this rare vein of imagination to other, more normal and formal ones: those too have a prominent place among Rabindranath's writing for children. As we have seen, many of his pieces contain some kind of moral or lesson. We tend to be suspicious of morals and lessons; but Rabindranath is always careful to convey his point through an exciting story, a witty build-up or at least a vigorous turn of language. For instance, he has an 1899 collection of sharp little anecdotes all allegories which he calls Kanika (Fragments). these too can be read equally by grown-ups or children. Some are rather abstract and philosophical; others, like the ones in this book, are as philosophical at bottom, but their point is brought out through sparkling little fables. Then again, he has a great number of story-poems. We could put only a few in this book, as they are rather long. The biggest collection of these, put together in 1908 by combining material from earlier volume, is called Katha o Kahini (Legends and Tales). A good many poems draw on religious sources, particularly the life of the Buddha; others on Indian history-especially the deeds of the Marathas, Sikhs and Rajputs, celebrated as models of courage and honour. This book contains an example of each type. Rabindranath also has a very different class of story-poems, set in his own times. We must not forget how different those times were from ours. Hence some very moving poems, like a famous one called 'The Old Servant' (Puratan Bharitya), might seem outdated in the way they present the relation of master and servant, rich and poor. But generally, even in his writings for children, Rabindranath kept up a consistent line of protest and criticism against social evils. Of the poems in this book, 'Two Bighas of Land' is famous as a condemnation of the tyrannous zamindari system. The zamindars or landlords (actually tax-collectors) had been empowered by a 'Permanent Settlement' of land tax made by the British rulers in 1793. Most zamindars squeezed and oppressed their tenants, and the system was rightly blamed for the poverty and degradation of the Indian peasant. 'Madho' also opens against the background of the zamindari system, but moves on to new types of oppression brought in by the coming of industry. Even the whimsical collection Galpa-Salpa contains 'Big News', a perceptive allegory about rich men and poor, the rules and the ruled; and 'Destruction', an open lament about the way peace and love are destroyed by the conflict of nations. We have put this last piece separately at the end of the book, to match the seriousness of its theme. People think of Rabindranath as a philosophic and romantic minded poet. That part of his mind is actually balanced by an intense concern for social evils and problems in Bengal, India and the world. This appears chiefly in his prose writings but also in his poems. His writings for young people show the same total concern for reality as well as imagination, the lives of men and women alongside the creations of his mind. 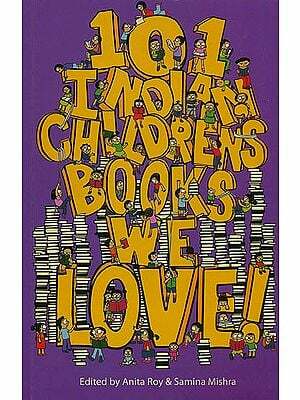 That is why we have rounded off this collection with some of Rabindranath's accounts of his own childhood. He published two books of memoirs, Jiban-Smriti (Momories of My Life) in 1940. The two books are of different kinds. The first was written for grown-ups, the second for children; the first in the so-called sadhu bhasha or 'chaste language' used in formal Bengali writing till quite recently, the latter in the chalit bhasha or 'popular language' that Bengalis always spoke and nowadays write in. (Rabindranath did more than anyone else to bring about this change.) But once again, there is a definite link in spirit, and of course in material, between the two books. The excerpts printed here pass easily from one to the next, regardless of which book they come from. Something must be said about the illustrations in this volume. Of Rabindranath's own paintings and drawings I have spoken already; but a lot of the pictures here are by other people, belonging to his family or associated with the Shantiniketan community. Some of them were drawn specially for the pieces they accompany. In other cases there is a common subject, and in yet others only a common spirit. But all of them, in one way or another, draw on the material and ambience of Rabindranath's life and work. The first people to mention must be the poet's tow nephews, Gaganendranath (1867-1938) and Abanndranath (1871-1951). Among the most eminent artists of modern India, they were also children's authors in their own right-Abanindranath in a big way. Both of them illustrated their uncle's work. Abanindranath, for instance, contributed paintings to a sumptuous edition of The Crescent Moon in 1913. Gaganendranath made a number of plates to illustrate Rabindranath's memoirs Jiban-Smriti. And they both have pictures that fit in wonderfully with one or other of Rabindranath's works, though not actually drawn to illustrate it. The most important name in Tagore illustration is that of Nandalal Bose (1883-1966). Another of the giants of modern Indian art, Nandalal went to live at Shantiniketan in 1920, and soon became head of the Kala Bhaan or Art School there. Shantiniketan is full of his works-most prominently the murals he drew on the walls of many buildings. The girls of a dormitory called Santoshalay have the happy experience of living among walls painted by him and his pupils, chiefly with pictures of animals. Nandalal has left his 'signature' in a corner of Santoshalay: a picture of himself being hugged by a bear. Nandalal drew the pictures for many of Rabindranath's books for children. He decorated the Bengali primer Sahaj Path with a classic series of woodcuts and line drawings. One striking group of woodcuts accompanies the alphabet-rhymes. Like the rhymes themselves, they sketch a number of enchanting little scenes, both realistic and fanciful. We have worked them into the margins of another group of poems, here entitled 'Moving Pictures'. Many of the other pictures in this book are also by Nandalal. Shantiniketan attracted other well-known artists, and trained more. The greatest of them was a sculptor of genius, Ramkinkar Baij; but many others filled the Shantiniketan art scene over many decades, like Asitkumar Haldar, Binodebehari Mukhopadhyay, Mukul Dey and Surendranath Kar. In this book, you will find illustrations by some of them, as well as others who trained or worked at Shantiniketan. Rabindranath conceived of a rich and full way to live one's life, drawing on art and music as well as poetic language. He used all these means to understand the world around us, in its practical and even harsh aspects as well as the pleasant and fanciful ones. He thought a lot about young people and did a lot for them. Above all, he wanted them to know the happiness that comes from looking at the world, engaging with it and expressing oneself by every possible means. This book shows the ways in which he tried to convey this involvement. This book extends the image of Rabindranath Tagore in the world's eyes, and offers readers a rich insight into one of the most attractive yet least explored aspects of Rabhindranath's life and imagination. Rabindranath, the poet and sage, appears here as a writer for children in a number of veins -comic, whimsical, tender, serious. Among the variety of verses to be found here are delicate pieces originally written for an innovative Bengali textbook; delightful nonsense poetry and presentations of a child's desires and fantasies; and narrative and didactic poems as simple as they are sober and unpatronizing. These verse appear alongside a range of other writing: short plays and sketches; short stories; chatty tales where everyday life blends with fantasy and witty philosophizing; and the more sustained fantasy of That Man. The collection is rounded off with a selection from Rabindranath's accounts of his own childhood. The book also contains a wealth of illustrations by Rabnindranath himself, his circle and the members of the Shantiniketan community. All in all, it constitutes a treasury of funny, colourful, thoughtful writing touched by the mind of an all-time genius. The translation were made by Sukanta Chaudhuri, Sukanta Chaudhuri, the General Editor of The Oxford Tagore Translations series, has also contributed the introduction and detailed notes. This volume will provide readers - children and adults alike - with a window to a world rich in fantasy, wit, and expression. Sukanta Chaudhari is Professor of English at Jadavpur University, Kolkata. Rabindranath Tagore, Nobel Laureate, is the most eminent Indian writer to have appeared on the world literary scene. The Oxford Tagore Translation is a major series undertaken by Oxford University Press in collaboration with Visva-Bharati, the university founded by Tagore. It aims to present a selection of his major writings including his poetry, fiction and non-fiction prose, in volumes grouped by subject and genre. Being a planned series, the Oxford Tagore Translations has the benefit of a uniform editorial policy and a shared though not identical approach among its panel of translators, who include established writers and academics. Leading Tagore scholars are actively involved with the series as advisers and commentators. While the introduction, notes and critical apparatus represent the best of Tagore scholarship, the translations present the cultural and linguistic ambience of the original in versatile readable English that meets the demands of the international reader. Is there any way that I could see 5-10 pages of what the inside of the book looks like? It appears to be a good book, but is also expensive and it is difficult to make a purchasing decision without looking what is inside. I, like many others, would probably buy it if we could take a peek inside.